By Nick Ostdick. May 21, 2016. 9:00 AM. Deserts. The Mojave. The Sonoran. The Chihuahuan. Vast, barren, dusty landscapes with skies that seem to stretch forever, and towering, jagged rock formations cut from the scorched earth. Cacti. Heat. Sun. In other words, tough country, both in terms of its topography and culture and politics. Conflict between American settlers and Native American Indians looms large in the history of this place, as does the often tortured relationship its inhabitants experience between calling this region home and striving to get out. But as we’ve seen time and time again with this series, great conflict often breeds great beauty, and writers from the American Southwest are no stranger to conflict—both in terms of the region’s geography and politics—and, as it turns out, the wealth of artistic expression born from it, particularly in the literary arts. During the 20th Century, the American Southwest produced some of the literary world’s most impassioned, reflective, and lyrical writing from poetry to plays. Here are five writers from the region with vastly different takes on the experience of living in the American Southwest and putting that experience on the page. The author of more than 30 major works, many of which in his much-lauded Navajo Tribal Police series, Hillerman is perhaps the region’s foremost detective/crime novel author. His fiction is nearly synonymous with the wonder and mystery of the Four Corners area of the American Southwest, and his fiction often deals in the drama and machinations of characters coming to grips with their Native American identity and heritage. 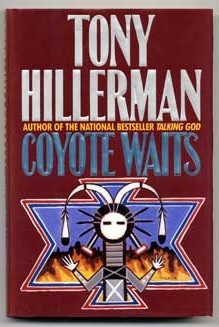 Hillerman actually grew up in Pottawatomie County in Oklahoma and spent a majority of his time with Pottawatomie children. Hillerman honed his writings in part while working as a journalist for several area newspapers, befriending local policeman and sheriffs, which helped drive his crime stories. He’s the winner of the prestigious Edgar Award and his novels have been adapted for both television and film. A highly-regarded novelist, essayist, and poet, Kingsolver was actually born on the East Coast, raised in rural Kentucky, and lived briefly in both the Congo and France before finally settling in the Tucson-area in the late 1970s to hone her craft while working as a journalist and freelance writer for local weeklies. 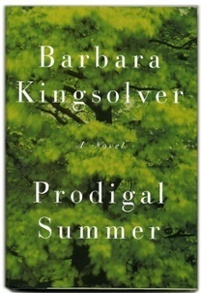 Kingsolver’s work, which is usually set against the backdrop of her adopted home, often deals with issues of social injustice, biodiversity, and the interaction between humans and their environment, as perhaps most evident in her memoir Animal, Vegetable, Miracle, (2007) which chronicles her family’s quest to eat nothing but locally-sourced or grown foods for one year. Kingsolver’s work incorporates her extensive travels and experiences for an East meets West, rural meets urban flavor that somehow seems right at home in the Arizona desert. Part Cheyenne Native American, Frank Waters' historical novels and nonfiction focus largely on his mixed heritage and the intersection of American and Native American cultures in a majority of his novels and nonfiction works. Waters’ books draw from a spiritual connection to the land which is perhaps best exemplified by his book, Book of the Hopi (1963), which tracks and compares and contrasts the downfall of several Native American tribes. Waters was also instrumental in establishing The Frank Waters Foundation, a nonprofit that opened its doors in 1993 to promote and support the artistic pursuits of those native to the American Southwest. The organization continues to this day and offers workshops, seminars, and hosts annual residencies for artists. Simon Ortiz is a Puebloan writer and poet of the Acoma Pueblo and is widely-considered one of the most renowned Native American poets. A key figure in the second Native American Renaissance, Ortiz writes about the beauty of his homeland. He both practices and advocates for traditional oral storytelling techniques most commonly associated with this tribe. Following a brief period of military service, Ortiz attended the University of New Mexico and the University of Iowa International Writers Program. Ortiz was awarded a Pushcart Prize in 1981 for his landmark poem From Sand Creek: Rising in this Heart which is Our America, and he’s been awarded a National Endowment for the Arts Fellowship. Much like Ortiz, poet, playwright, and novelist Linda Hogan is of Chickasaw decent and is currently the Chickasaw Nation Writer-in-Residence. Hogan has spent most of her life bouncing back and forth between Denver and Oklahoma, which is where her strong ties to the Chickasaw tribe originate. 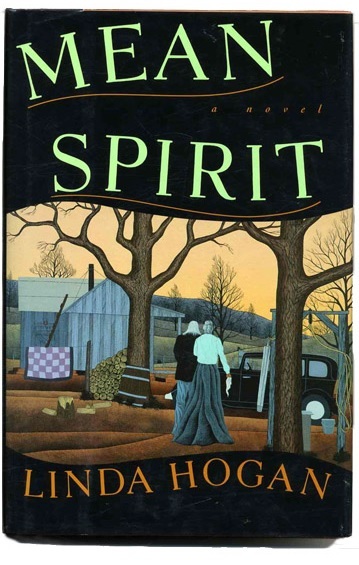 Hogan’s primary themes center on environmentalism and the intersection and spirituality between humans and the natural world, themes that are most prevalent in her debut collection, Calling Myself Home (1978). Hogan was a finalist for the 1990 Pulitzer Prize and the winner of a 1991 Guggenheim Fellowship.